Hay fever and other allergies can be a nuisance, but being proactive can minimize their effect. 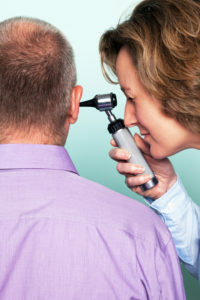 A note for older adults: Allergies can appear at any age. Our immune system changes as we get older. For a few years in a row, my youngest son would get the sniffles, a sore throat, and other cold symptoms around the same time every spring. I figured that many kids get a cold once a year or so; our son just happens to get his in March. My wife (the really intuitive one in the family) suggested that it might be allergies and not just an amazingly coincidental cold that hits at the same time every year. Well, she was right. As usual. Like tens of millions of Americans, our son deals with seasonal allergies. Fortunately, his reaction to the pollen blooms floating around the trees in our neighborhood is pretty mild. For others, allergies can really put a damper on their quality of life. But you don’t have to be a victim of nature’s annual mischief. Here are a few steps you can take starting today. The more you know about allergies, the more prepared you’ll be to tackle them head-on. So when you hear the terms “allergic rhinitis” and “hay fever,” know that they are basically the same thing. Allergic rhinitis is the clinical name for an allergy to something in the environment that most people tolerate without a problem. It’s commonly known as hay fever, but the trigger can be pollen, grass, weeds, and other sources. Seasonal, usually timed to the bloom of a particular plant. Perennial, which usually refers to dust mites, mold, pet hair and other indoor nuisances. Food allergies, however, usually don’t cause perennial allergy symptoms. Also, a physician who specializes in helping you treat or prevent allergic reactions is called an allergist. Don’t hesitate to seek one out just because you feel your sniffles and coughing are unavoidable. Not all allergy symptoms need treatment. My son, for, example, doesn’t take any medication for his allergies. But we are aware that this is a condition that should be monitored. If his reactions worsen in the years ahead, then we may need to intervene. 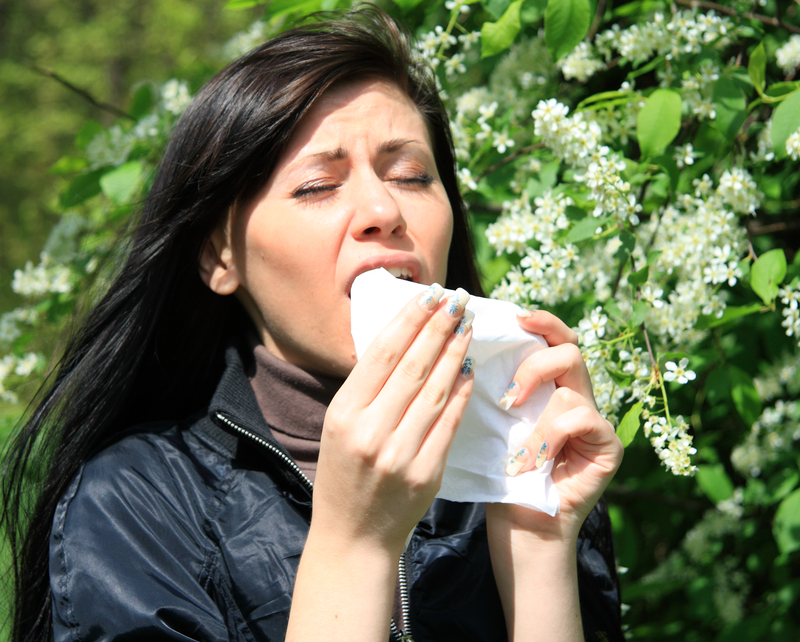 A note for older adults: Allergies can appear at any age. Just because you sailed through your childhood breathing easy and loving the great outdoors doesn’t mean that one day your walk in the park won’t be, well, a walk in the park. Our immune system, like everything, changes as we age. Also, moving to a new part of the country can mean exposure to plants you seldom saw as a youth. Scientists have gotten pretty sophisticated about forecasting weather conditions and air quality. Plenty of local weather forecasts include this information. You can even find smartphone apps to help the seasonal allergy sufferer with this kind of thing. In general, if it’s an especially strong pollen day, stay indoors as much as possible. And yes, consider wearing a pollen mask if you’re working outdoors or walking near an especially allergen-rich environment. On windy days, during the height of pollen season, for example, my son is excused from yard work… but we may find a chore or two indoors for him—you know, so he doesn’t feel left out. Also, if you’re allergic to one thing, like pollen or grass, there’s a good chance you may have other allergies, too. Dust, pet hair, or mold may make you miserable, too. If that’s the case, be prepared to vacuum your carpets and wash your linens more frequently. Rather than suffer through a week or month or more of watery eyes, a stuffy nose, and a cough, talk with your doctor. A mild prescription or over-the-counter medication that contain antihistamines (Claritin, Zyrtec) may be all it takes to at least reduce your symptoms. You may even benefit from immunotherapy, a treatment that boosts your own body’s ability to fight an infection. Allergy shots can help reduce hay fever symptoms in about 85 percent of individuals with allergic rhinitis, according to the American College of Allergy, Asthma, & Immunology. That’s a pretty impressive number, and one you shouldn’t ignore. Aside from minimizing symptoms, allergy shots have a very important protective benefit. Individuals who suffer from allergic rhinitis are at a higher risk of developing asthma. Immunotherapy can help lower the odds of hay fever turning into asthma, a much more serious health challenge. An allergist may or may not give you an allergy test, which usually involves exposure to a tiny amount of an allergen to look for a reaction. Sometimes, your medical history and description of your symptoms will be enough to start treatment. If an allergy medicine reduces symptoms, then you know your problem is an allergy and not just a cold that magically appears at the same time every year. aging, allergen, allergic reactions, allergic rhinitis, allergies, allergy, allergy season, allergy shots, allergy symptoms, antibiotics, asthma, back pain, blood pressure, bones joints, cancer, cancerous moles, diet, digestive, ears, food, food allergies, hay fever, hay fever symptoms, health, heart health, how to relieve lower back pain, immune system, immunotherapy, infection, kidney stone pain, lower back pain, mold, nasal allergies, non drowsy, non drowsy allergy, non drowsy allergy medication, nutrition, pain, rhinitis, seasonal allergies, side effects, sore throat, stuffy nose, weather, what is nutrition, what s ailing you.